Nashville, TN – October 30, 2017 – (GuitarPR) – Batson Guitar Company president Cory Batson has announced that Rick Hall has accepted the position of International Sales Agent. 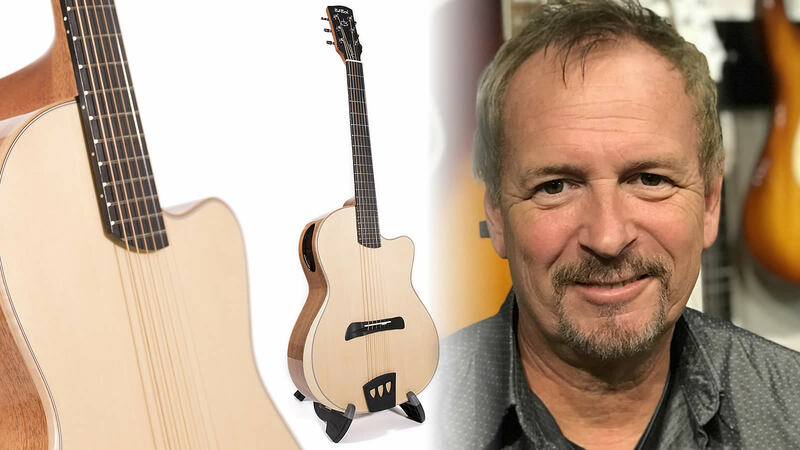 In his new capacity, Hall will be responsible for placing the new line of acoustic electric flattop guitars in retail dealers throughout the world. Hall spent 14 years with KMC Music and Ovation, with much of that time as a brand manager responsible for many aspects of the Ovation Guitar brand with primary focus on successful global performance. His extensive experience dealing with international manufacturing facilities, wholesale and retail distribution, and key customer management with the likes of Guitar Center, Amazon, Best Buy, Costco and many others positions him well to lead Batson’s drive into the larger global arena. With huge margins, small minimums and free shipping, Batson is offering exceptional incentives for new international dealers who sign on. Rick Hall is presently scheduling appointments for Winter NAMM and he can be reached via email at rick@batsonguitars.com. For 20 years, Batson Guitars has been known for its uniquely designed and engineered handmade guitars. Their new Generation 2 line of Batson acoustics, hand-assembled in Korea, is now being released to the retail world and feature side sound ports, solid tops, backs, and sides, unique tailpiece-bridge systems, cantilevered fretboards, and armrest bevels. There are three Grand Concert size models including the Troubadour, designed for performing artists, the Americana, a songwriter model and the Gypsy, designed for finger-style players. All Generation 2 models come with a super-thin gloss finish, designed to support increased soundboard movement and resonance. The new Batson Acoustics retail from $2,399 to $2,499 and are presently available at special introductory prices from $1,699 to $1,799. For more information on the New Batson Acoustics, visit http://batsonguitars.com.